Shiny Alloy Wheels for Bixie! 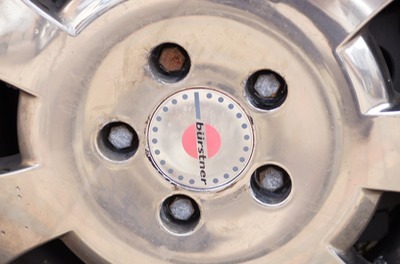 Original Burstner Chrome Wheels after 4 years! Noticable damage became apparent in the 3rd year. Just like new! It took a while. 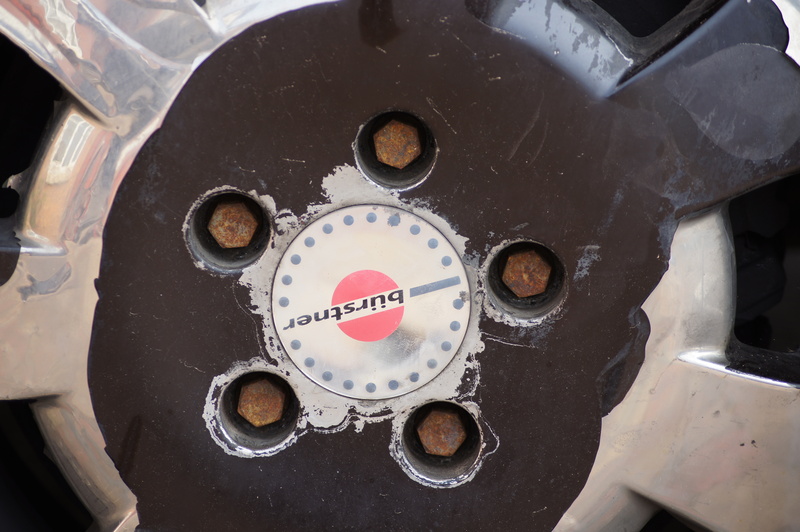 We reported in September 2014 that we would be approaching Burstner for comment on the condition of the wheels. 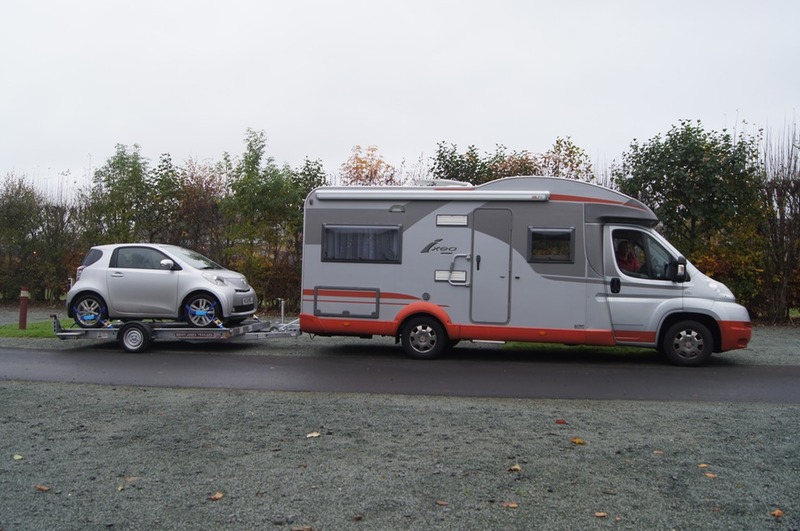 We did this through Perthshire Caravans who are Burstner dealers and because we bought the motorhome from them in October 2010. 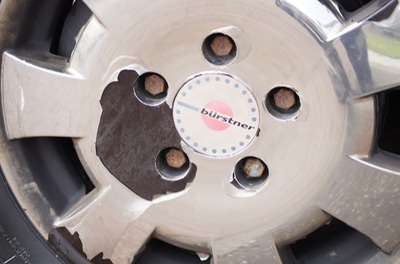 Burstner, while not mentioning any design fault, did offer 20% discount for replacement chrome wheels. We decided to accept this and placed an order on 9th October. 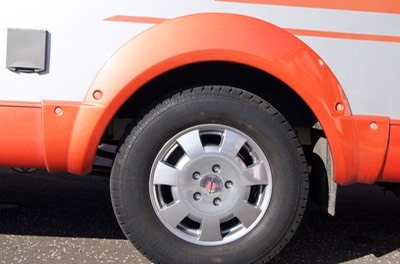 We heard nothing further, despite reminders, until March this year; Perthshire Caravans now advising that chrome wheels were no longer available from Burstner. In the meantime, we had been hearing from others in the trade that there was a design issue with them; that they had seen many requiring refurbishment. They all suggested we get our wheels refurbished in alloy. Knowepark Caravans in Livingston, who do all our motorhom maintenance, made inquiries on our behalf and referred us to Protek (Bathgate) Ltd. They have done a fabulous job! Protek do not do this work themselves but they have arrangements with some experts in the field, using the the most appropriate for the requirements specified. Ours were that we wanted a hard and lasting finish, including the wheel bolts, that they should have a polished (shiny) look, the Burstner emblem needed to be refitted, but that the wheels should not be done in chrome. Protek made it very simple for us. 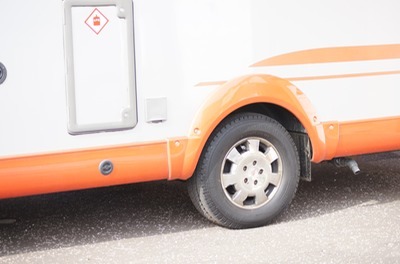 We delivered Bixie (the motorhome) to them on Monday morning, having remembered to detach the TyrePal Pressure Transmitters off each wheel. 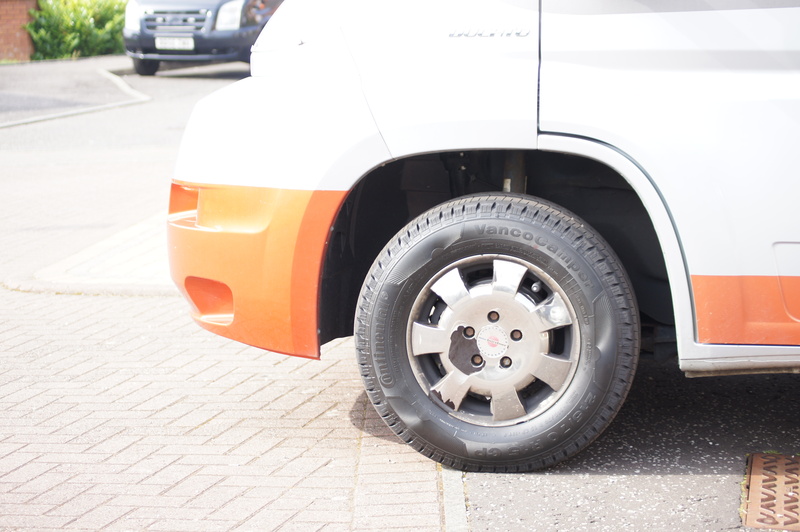 Protek removed the wheels and tyres, keeping the vehicle on the ramp. 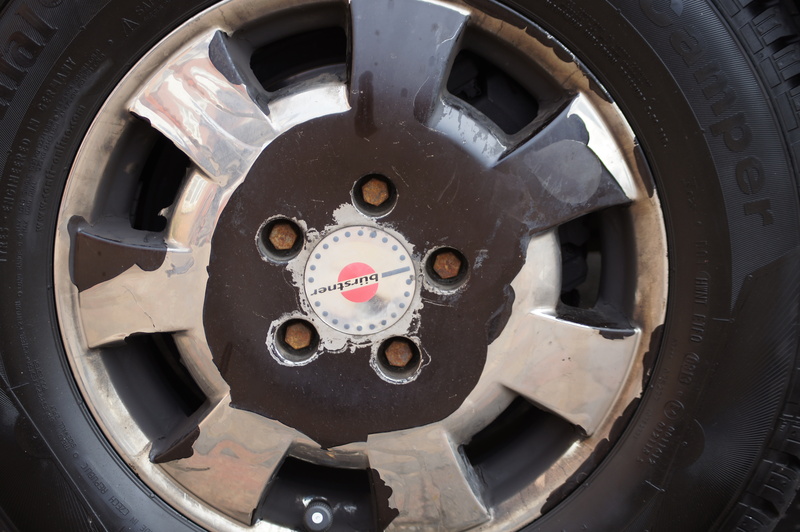 The wheels were collected by the refurbishers, restored and returned within 4 days! 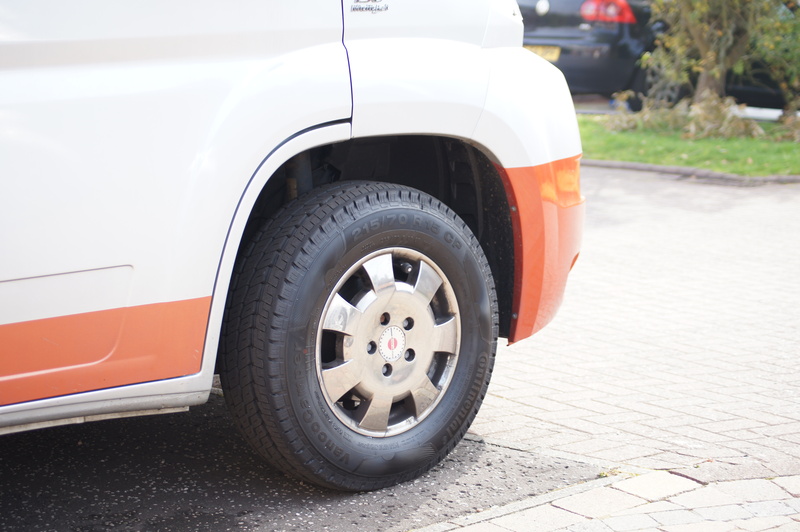 Protek refitted the wheels, tyres, rebalanced and fitted new valves. We got Bixie back on Thursday last week - looking splendid in the sun! We cannot recommend Protek highly enough - they provided a great service; just as they did when Bixie needed bodywork back in 2011 when I reversed too close to the house and punctured the skin on a protruding downpipe. Burstner Wheels : Chrome Plating is peeling off! We bought our Burstner IXEO IT664 in October 2010. At that time it was 18 months old (first registered in March 2009) with 7900 miles on the clock but internally it did not look as if it had been used very much at all. 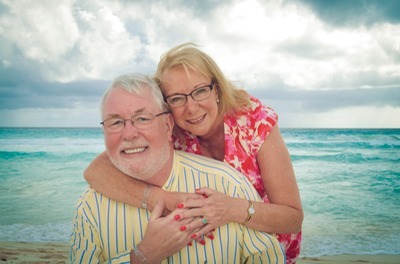 It had everything we wanted at the time, though we have invested in several other new functions and features since - see Motorhome Matters. We noticed black marks appearing on the chrome wheels last year. These have grown larger and we realised that the chrome plate was separating from the wheels. 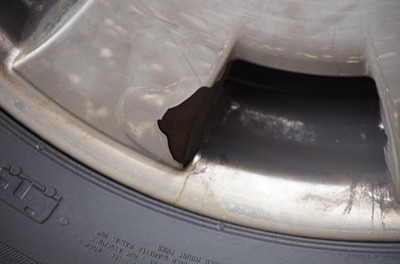 We have had them looked at by the Fiat dealer who does the servicing and they have no answer. As you can see from the photographs the wheels are not uniformly affected. 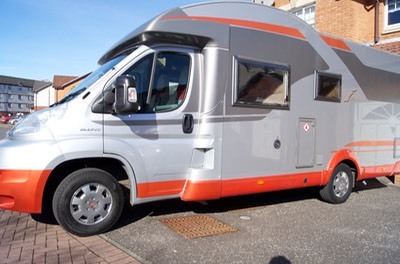 The adverse affect on the sleek lines and colour of the motorhome is obvious; it is such a pity to have the fabulous sight of this wonderful motorhome so marred in this way. 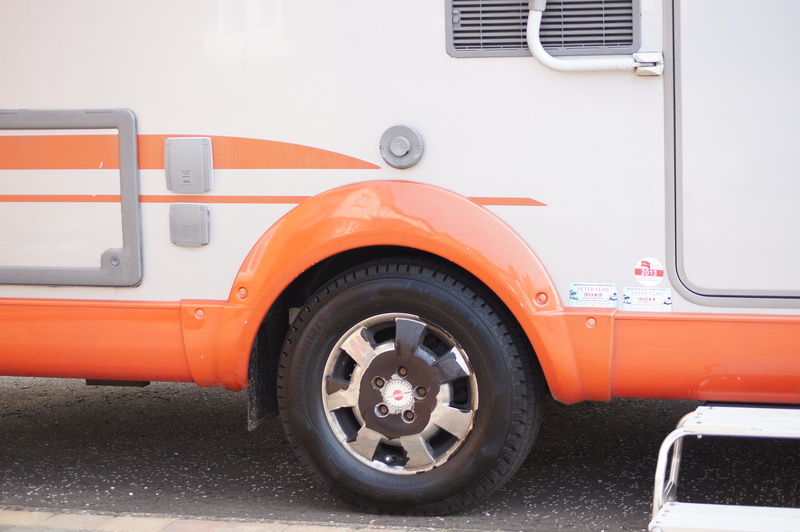 Many of the fellow motorhomers we have met have noticed and commented on it. It is getting worse, too! 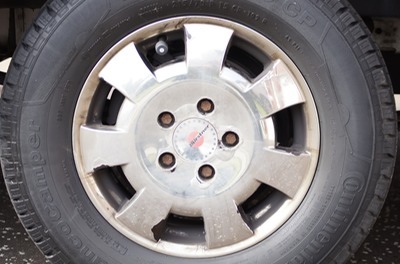 The front offside wheel seems OK just now but I fear that it will go the same way. We cannot help feel that this must be a design fault so we’ll be requesting comment from Burstner. I’ll provide updates on this issue. 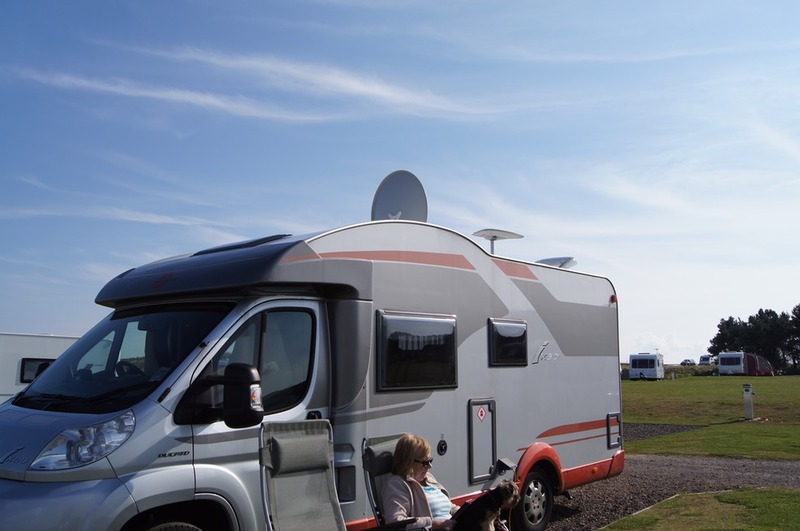 The day you get your motorhome, everything is perfect; it’s exciting; you cannot wait to get out and about. Overtime there are going to be maintenance issues and problems. It’s how you deal with them that adds to the great knowledge you acquire about motor homing, camping (or in our case, glamping) and all the places and sites you visit. Possibly the greatest resource of information are the fellow campers you meet. I do not think anyone, no matter how long they’ve been motorhoming or caravanning, has learnt everything there is to know. We know a great deal more now than when we first started in late 2010, but we are always grateful to talk to others and hear about there experiences. This section of the website documents some of the technical problems we have encountered with our motorhome. This year we plan to be a little more adventurous when travelling in Europe and hope to make use of Aires and France Passion sites. 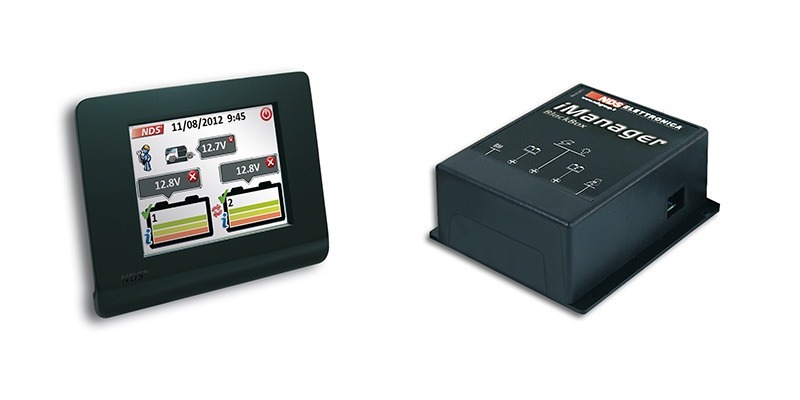 As these will not normally have electricity connections we have installed two new batteries and the NDS iMANAGER advanced multi-battery system to provide automated protection, monitoring, extra security and peace of mind. Over time we’ll be able to report on how effective this solution is. The detailed planning work for this year’s European Trip in our motorhome begins today!